From small companies to large enterprises, from specific manufactures to vertical business integration, CRMdesk is scalable enough to grow with your business needs. 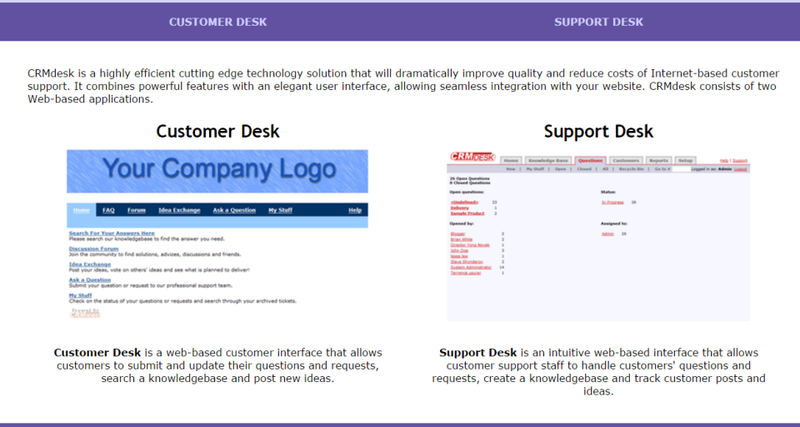 CRMdesk is a very efficient online help desk software for knowledgebase management and customer support automation over the Internet. The system is deployed as a cost-effective hosted solution to manage and analyze all of your customer requests from a centralized location. From small companies to large enterprises, from specific manufactures to vertical business integration, CRMdesk is scalable enough to grow with your business needs.